Ok, I swear this is my last post on tarts/tortes. My culinary curriculum has officially moved on from tarts and is now entering the world of puff pastry! I'm so excited! My father loves linzer tarts. Linzers were the first cookie I ever consumed at the very wee age of 3 months! I obviously don't remember this experience but it has been confirmed by my mother and makes a whole lot of sense since linzers are my absolute favorite cookie ever! You could imagine my excitement when my chef told us we were going to make them. 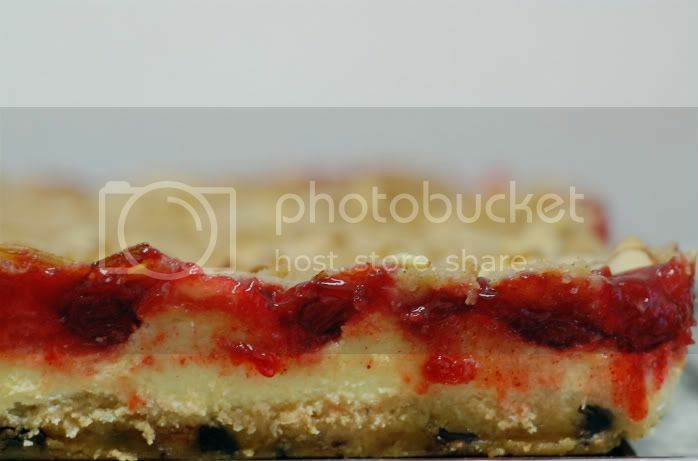 However, there is a distinct difference between linzer cookies (like the ones you buy in the bakery with the powdered sugar) and linzer tortes, which are baked in a round cake pan, smothered in jelly, and latticed on top. 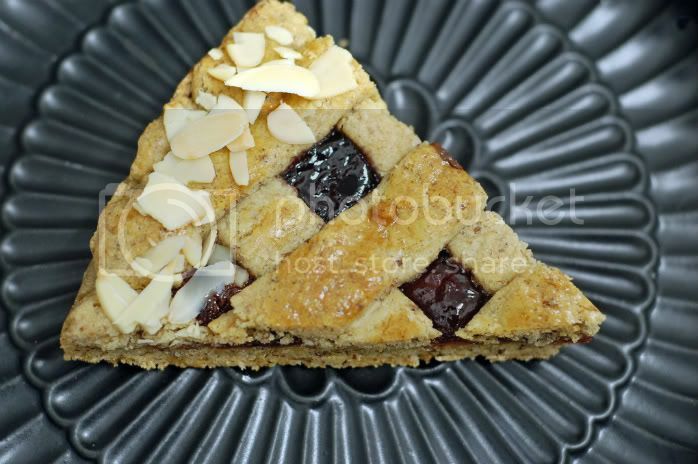 Regardless, the linzer tortes we made in class were spectacular! Unfortunately my father never got the opportunity to try them...they never made it home! 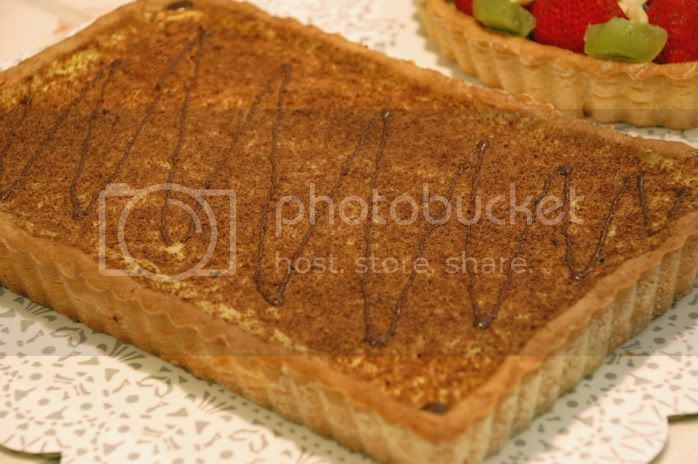 As stated in my previous post, the past 2 weeks in school have been filled with a plethora of tarts. Tarts. Tarts. Tarts. Over the past few years, I've made a ton of tarts but after these last 2 weeks of tart education, I've finally mastered the proper techniques to avoid dough shrinkage! 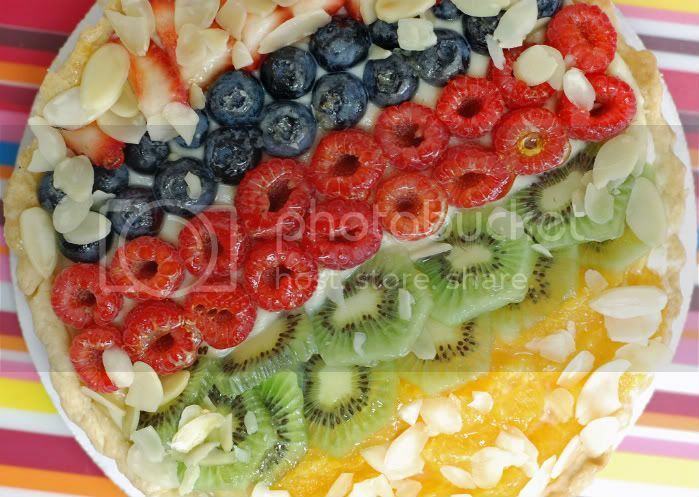 This rainbow fruit tart consisted of a tart crust; using sucree dough(obviously), vanilla pastry cream, and a variety of colorful fruits. I'm personally not a huge fruit tart fan because I'm not a lover of pastry cream but this happened to be delicious. 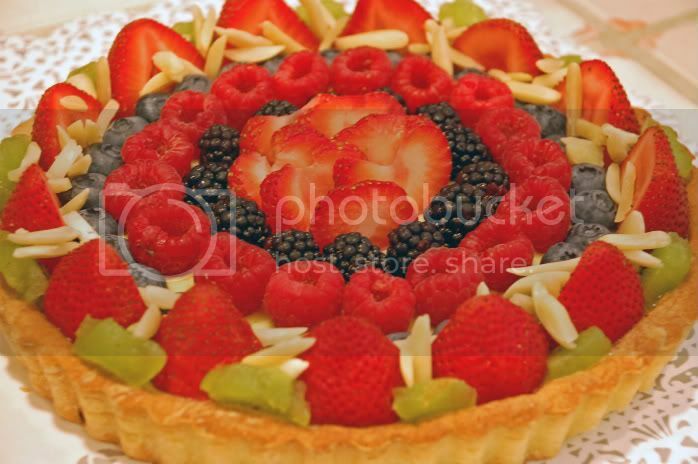 I went ahead and made a fruit tart on my own (outside of the classroom) which is pictured below. Since I had extra tart dough and pastry cream, I made another tart (in a rectangular tart pan), filled it with the pastry cream, and shaved espresso chocolate on top with a drizzle of chocolate ganache. Yum! This past week in culinary school we learned all about pies and tarts using various different kinds of dough such as pate brisse, pate sucree, and pasta frolla. Above, we have a meringue pie using lime curd. 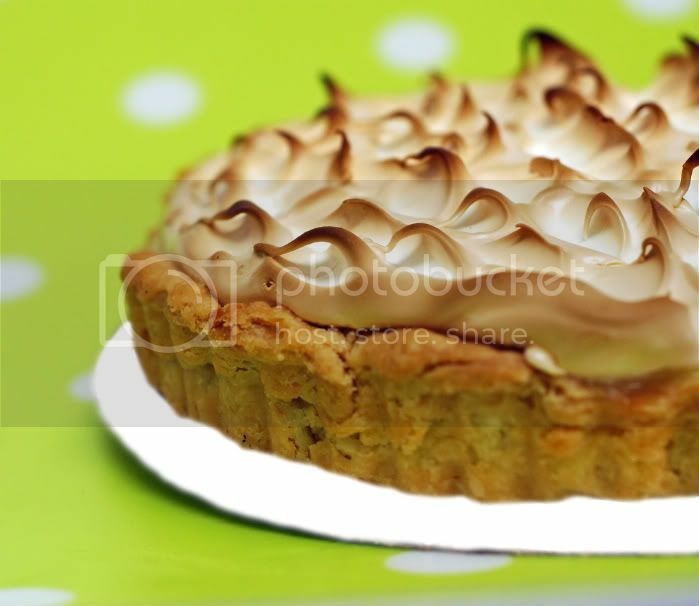 The flaky tart dough, cool refreshing lime filling and sugary meringue topping was PERFECT. Well, today was donut day in culinary school. 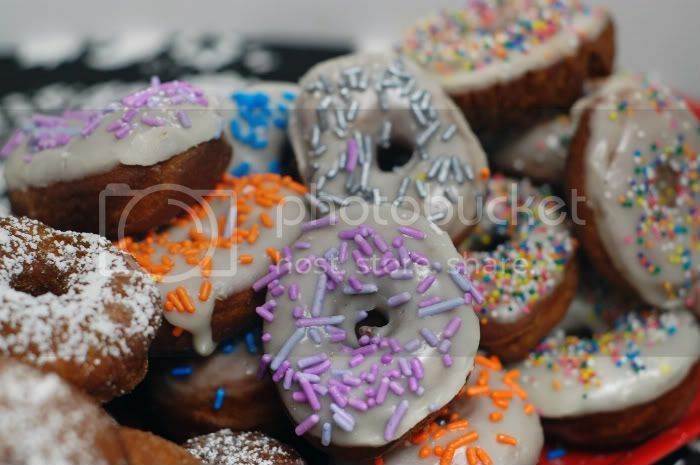 Donut day=amazingness. 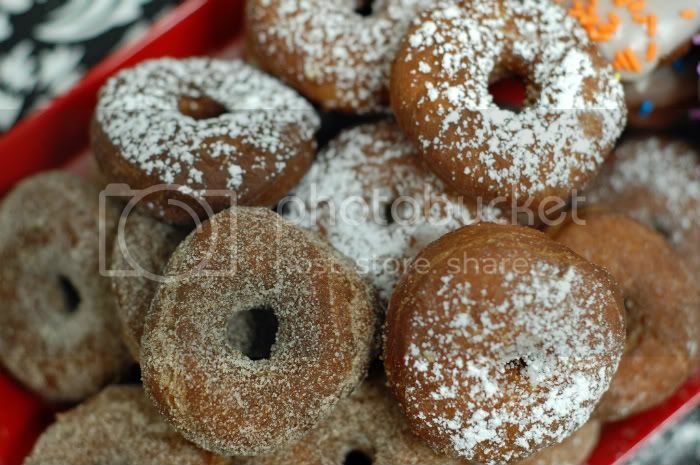 Sure, I've made cake donuts before that were a cinch because no deep fryer and/or yeast were involved. 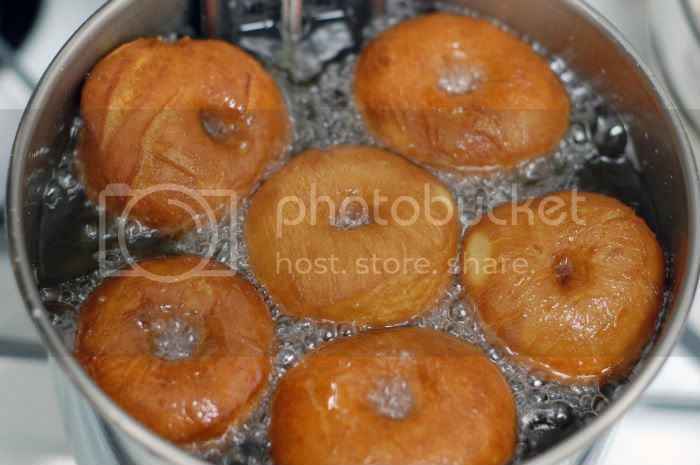 It was a simple recipe baked in my cutesy little donut pan that eliminated the risk of 375 degree hot oil burns. Baah, what was I thinking? Lame. Deep frying, on the other hand, comes from a completely different planet; and that planet is astounding...and fattening-or should I say astoundingly fattening? 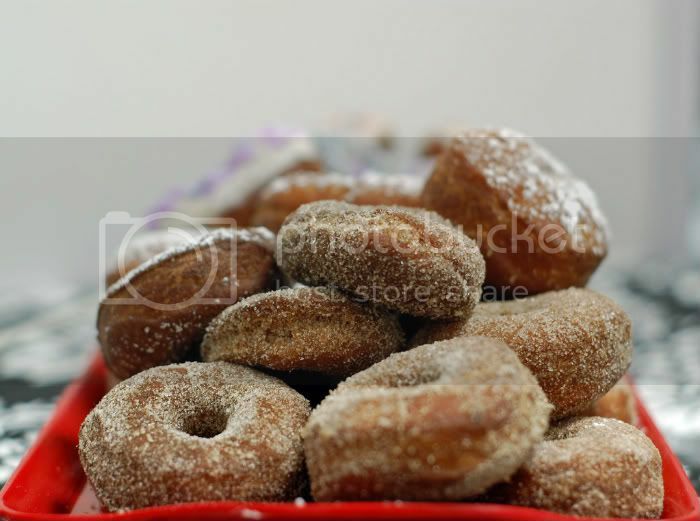 However, all of this "my skinny jeans don't fit anymore" talk is irrelevant because you become immersed in a deep fry world of hot oil, glazes, sprinkles, ganache, cinnamon, sugar, and what have you. You dig? It owns you. I'm intrigued. 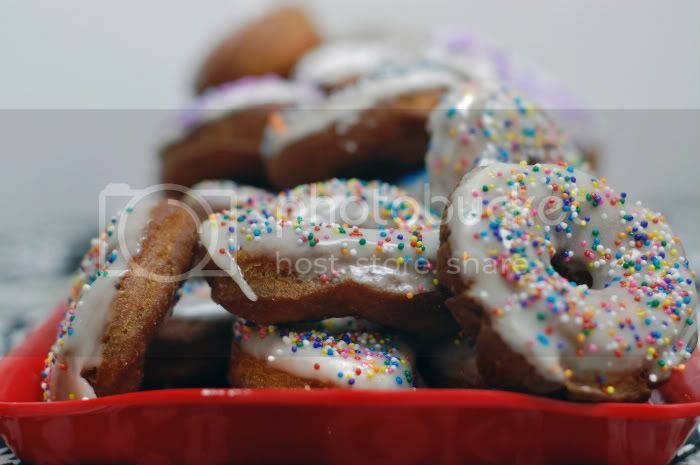 Below is a selection of the donuts I made tonight, post class--because I just couldn't resist making them in my own kitchen. Again, the world of donuts have owned me for the past 15 hours. Yikes.